With a pristine setting, and easy access to transportation, this unique 18 unit project fuses urban design with natural inspiration. 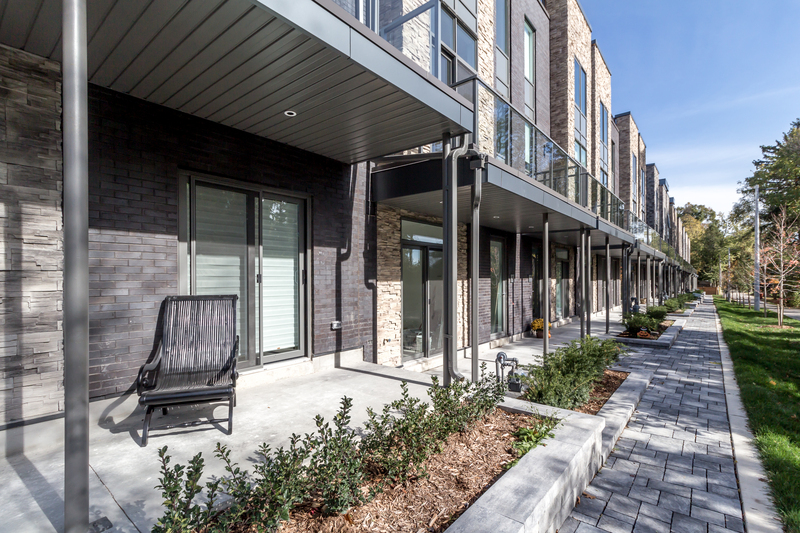 Despite being a challenging project that involved working on a tight site, with servicing constraints and an adjacent park that introduced a complex approval process, ParkLane Residences is ultimately a resounding success. Working with community groups, client and municipal stakeholders, the final project uses eye-catching design to enhance an existing neighbourhood. 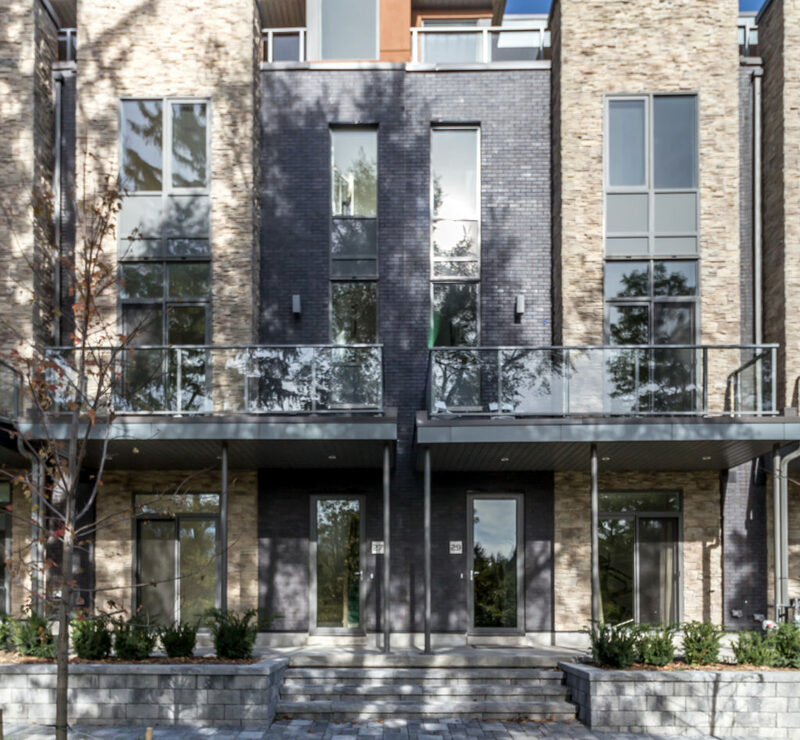 Located in Port Credit, Ontario, the Turner Fleischer team created an enclave development that is surrounded by nature and fits with its location, close to Port Credit village. 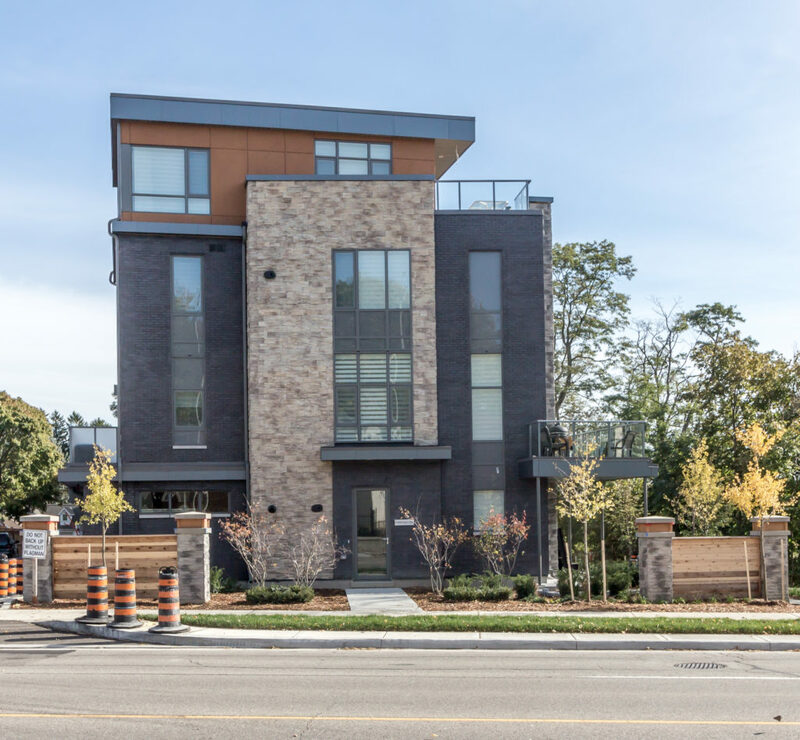 Located next to the Brueckner Rhododendron Gardens park and steps to Lake Ontario, the design balances urbanity with tranquility. The exterior is a perfect example of organic architecture define in a contemporary way, used to mimic the surrounding nature and accentuate it with the prominent use of brick and stone façades.